You can’t deny it anymore; summer is really gone and fall has officially arrived. Not only does this mean that it is time for a brand-new wardrobe, but it’s time for a whole new makeup routine. To make the transition easier, here are my top five makeup essentials for fall. They are absolutely necessary to get you through the colder months! A good makeup look starts with a good base underneath the makeup. Throughout the colder months, our skin tends to get drier and look a bit dull. Putting on some highlighter will give you a nice glow, but I have found that the best way to get that perfect “lit from within” glow is by starting with a hydrating and illuminating primer. This will show through your foundation and leave your skin with a healthy glow. As we all know, it’s rare to see the sun in the winter, so our summer tan will probably be fading quickly. 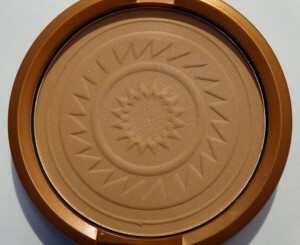 Applying a bronzer is a very good way to keep up your tanned look in the winter months. Instead of contouring, use a big powder brush and apply the bronzer in a 3-shaped motion, going from right below the cheekbones to your temples and hairline and also to the jaw line. By using this technique, you will get an all-over bronzed look. My favorite fall eyeshadow look is definitely a captivating bronze smokey eye. Apply a shimmery bronze eyeshadow all over the eyelid and blend a slightly darker brown shade into the crease. Smooth it out with a blending brush, apply some dark brown or black eyeliner, and then apply some mascara. Your autumn-appropriate, bronze smokey eye is ready to go! No fall makeup look is truly complete without the perfect dark red lip. Of course, every skin tone calls for a completely different shade of red, so try to find the perfect shade that complements your skin tone. 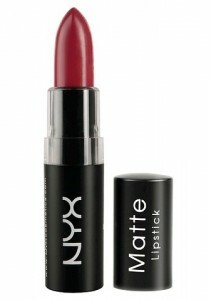 For fall, I also recommend opting for a matte shade, which I think looks really beautiful on the lips for the colder months. 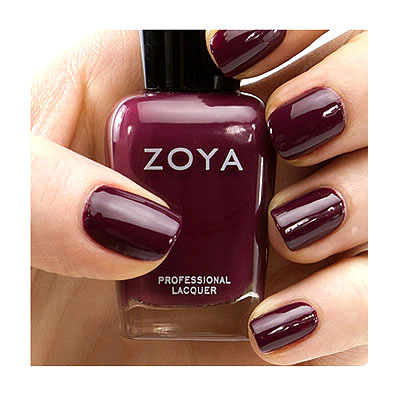 Technically, this is not a makeup product; but, in my opinion, burgundy nail polish is an essential for fall. A deep burgundy nail polish gives your entire outfit a finishing touch, and it will match perfectly with the darker colors of clothing that you will probably be wearing more often. I hope these makeup tips and essentials will make the colder months a bit more bearable and, of course, a bit more fun. Happy fall!